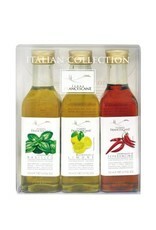 Terre Francescane Trio Flavored Extra Virgin Olive Oil - Miam! 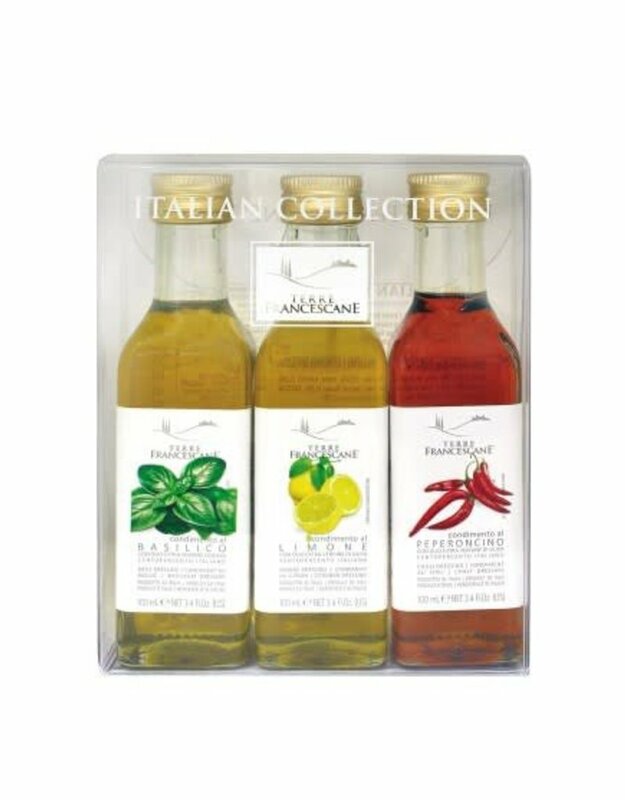 Elegant Gift Set containing three 100mL flavored Italian extra virgin olive oils made from 100% Italian olives. 1. Italian Lemon Oil made from cold extracted Italian EVOO and natural lemon flavor.Pairs well with summer salads and fish. 2. Italian Chilli Oil made from cold extracted Italian EVOO and natural chilli flavor. Pairs well with salads, drizzle on pizza or add to meat or vegetable stir-fries. 3. Italian Basil Oil made from cold extracted Italian EVOO and natural basil flavor. Pairs well with caprese salad and tomato based sauces. airs well with summer salads and fish 2. pairs well with salads, drizzle on pizza or added to meat or vegetable stir-fries 3. pairs well with caprese salads and tomato based sauces.